That is so awesome you like the Pre Moon Syndrome album I made at dc space nearly 30 years ago!!! (!!!). I remember being on the fence as to whether make a CD or Cassette and opted for the Cassette (!! as well). So, I do not have a digital file of this record, as a result. It was all analogue.. and perhaps why you might like it. That crunch at the beginning of Butterglove is out of this world! I love this album so. One of my favorites, believe it or not. I guess there's no chance of a digital (or CD) release? A compilation of tracks recorded live at D.C. Space, September 11-16, 1989. 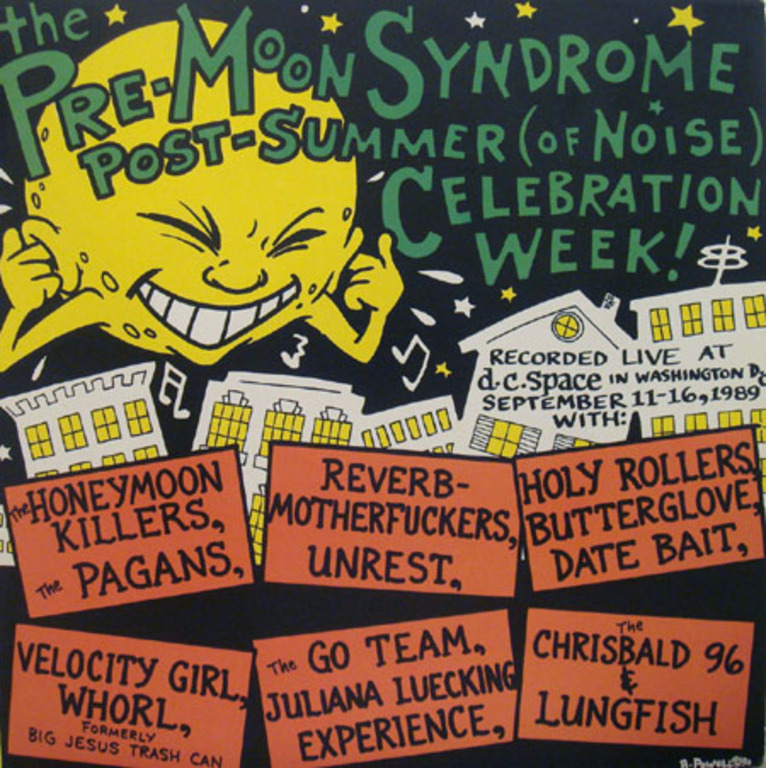 Includes contributions from Lungfish, Unrest, Holy Rollers, Velocity Girl, The Chris Bald 96, and more. A portion of the proceeds from the sale of these records will benefit We Are Family DC.